YOU HAVE PERMISSION TO LIVE YOUR LIFE JOYFULLY! Free Yourself from Past Programming, Choose FREEDOM from Suffering and Experience Massive Shifts in your Life NOW! “You have the irrevocable privilege and opportunity to Live JoyFULLY. Worrying about your relationships, your career, your body, your children, your past and your future. Feeling the weight of the world is on your shoulders. Feeling like something is missing. but you can't quite put your finger on what it is. It’s hard to describe the feeling exactly, but there always seems to be some level of dissatisfaction in whatever you do, even if it’s an achievement of some sort. Why don’t you ever feel completely fulfilled? This used to be my everyday existence...but NO MORE! Now, I feel held, I feel abundant, and I feel the presence of the Divine all around me. I know life will never be perfect, but now I have the tools I need to navigate this experience we call life. Now I know how to access the JOY that is all around me. How, you may ask, did I arrive at this new place of experiencing Joy? I chose to be courageous and change my perspective about many things. If I didn’t choose to see things differently, everything would stay the same. Accepting Joy is a CHOICE, one you have to make in order to fully access it. Specifically, what did I do? 🌸I learned how to identify my Past Programming and how to pinpoint the False and Limiting Beliefs that have been holding me back from experiencing Joy. If you can’t see it, you can’t address it. 🌸I chose to be courageous and see things from a new perspective. I was willing to consider new points of view, I was willing to forgive - myself and others - and I was open to the possibility that I was the master of my own destiny. 🌸I chose to be FREE from Suffering. I recognized that every moment I have a choice to decide; am I going to be joyful or am I going to suffer? “Letting GO” changed my life. Learning to see how I experienced life was enlightening. Understanding how I could be free from my past programming gave me incredible hope that things could be different. Learning how to choose freedom from suffering has lifted an enormous weight off my shoulders. No day is perfect in my life, however, as a result of giving myself Permission to Live JoyFULLY, I finally understand. I understand the process, and I understand the resistance, roadblocks, and detours I may face as I allow this Joy to enter my life. Give yourself Permission to Live JoyFully too. I want to show you this powerful, yet simple process, that will offer you the gift of understanding your past programming, aligning with your energy and understanding the messages your energy is sending out to the world. I want to show you how to pivot, to move from where you are now to where you want to be, and it all starts with giving yourself Permission to Live JoyFULLY. Understand what limiting and false beliefs are, and see how they impact your life today. Clearly identify your personal False and Limiting Beliefs, and face them head on! Understand that you ARE ENERGY and help you make the connections between your energetic self and your present-day reality. Journey through your energy centers and, with the guidance of your Spirit Team, get clear on your blocks and past programming stored within your energy fields. Look at how your energy has attracted the circumstances of your current experience into your life. Face what IS and decide together to change it. 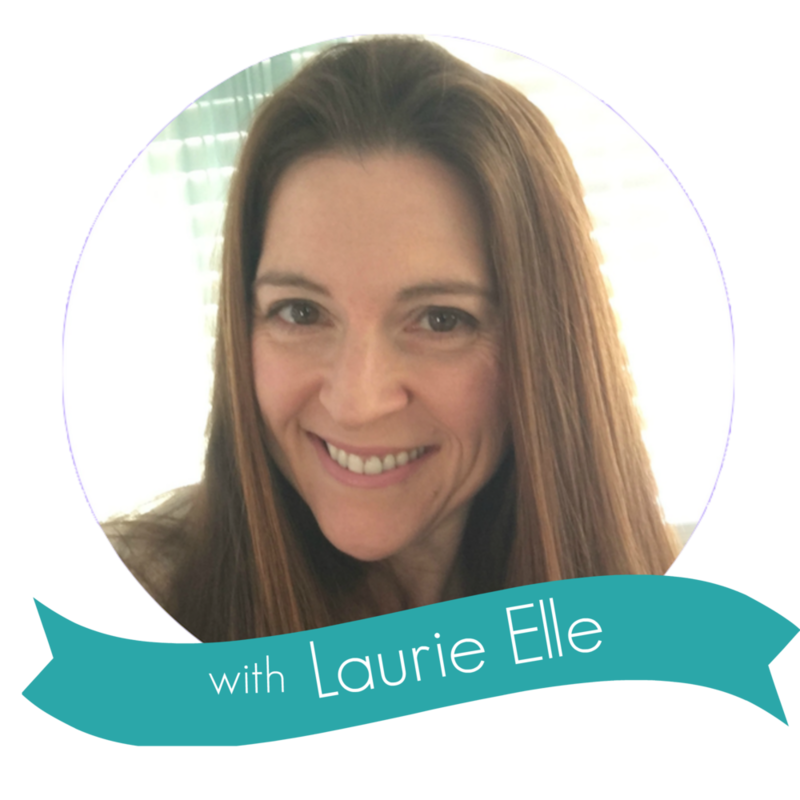 You’ll learn Laurie Elle’s formula for shifting your perspective from lack to abundance, and she will help you set Sacred Intentions; declaring to the Universe what you WANT to experience. Spend time setting your new Sacred intentions. Unlimited access to your Permission to Live JoyFULLY content, consisting of pre-recorded videos, healings, meditations, and written materials. Access to the Illuminate Your Soul Circle FB Group, where we offer additional live training, healings/clearings, oracle card readings, and so much more to help you as you move through this program and find your way to Joy! Support from the other Joy Seekers working through the course. Together we will share our successes using the hashtag #joyseekers. We’ll hold space for each other when we need a helping hand and will celebrate our progress and breakthrough moments as one! The energy, support and unconditional Love and Light of Laurie Elle that will surround you throughout this process. What is keeping you from experiencing JOY is simply energy and perspective. We can navigate this together and access all the love, peace and JOY that is intrinsically yours. You are destined for JOY, what are you waiting for?? Start living a BETTER LIFE now! Are you ready to sign your permission slip and access the Joy that is your birthright? Only $77 for 22 Days of amazing content to get you on the road to JOY! Why is this program called Permission to Live JoyFULLY? This program is intended to show you the ways in which you can get back the joy that is yours for the taking, and it all starts with giving yourself permission. What if I can't participate in the program every day? This course will be delivered to your email over a 22-day period, but it is yours to explore and consume as you wish! We are all unique beings, with different daily experiences and challenges. ANY step you take forward closer to Joy is a good step. There is no right or wrong here. Complete the 22 days at once, or take your time. Giving Yourself Permission to Live JoyFULLY is the key, the timing is not. Do these concepts apply to everyone? Should I sign up along with friends or family? Absolutely! Everyone needs to be reminded of their Permission to Live JoyFULLY! Just one note of caution...many times, our friends and family, especially our romantic partners, can act as “mirrors” for us. As a mirror, we often trigger one another, and this can lead us to think the other person is at fault for causing us to suffer or feel upset. My suggestion is that, if you are signing up to work through this program with a friend or family member, be supportive of one another, but remember that we are all individuals living out our own Soul’s purpose in this lifetime. Everyone’s experience with this program will look and feel differently, so share, care, but remember that anyone seeking Permission to Live JoyFULLY, enters a judgment-free zone while participating in this program. Please practice the same within your circle of influence. Do I have to participate in the online FB community to be successful in this course? Absolutely not. Social media and community participation is 100% a personal choice. This is your journey. Walk it as you wish. Daily lessons will be delivered to your email. Recorded extras, whenever possible, will also be sent out in emails as supplemental support components of the course. Join now for only $77 and begin the 22 Day process to a more joyFULL YOU!